When you train with Equestricare you are not just taking part in a class but joining a lifetime community of practitioners and fellow students and graduates. At Equestricare our aim is not to get you into one of our classes but to develop you into the best therapist you can be and support you on your continued journey of education and business growth, even after you graduated. Surveys undertaken showed that the largest complaint with regards to therapy courses in Australia was the support you receive whilst doing your externship and after you graduate. At Equestricare you don’t have to worry about this, as the most important aspect of our courses is you, and we strive to make your journey the best it can be. 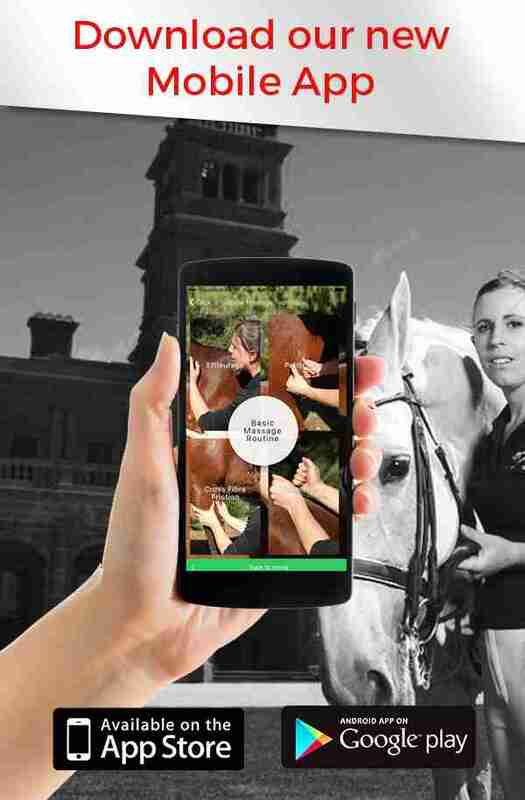 All our courses are approved by the Equine Therapies Association of Australia or International Institute of Complimentary Therapies. The aim of the certificate is to provide therapists (or those who just want to enhance their own knowledge), with the newest technique of the trade, not taught anywhere else in Australia. The aim of the certificate is to provide therapists, those wanting to become therapists, or general horseowners, with the latest tools and techniques of the trade, as well as essential anatomical, evaluational and traditional chinese medicine theory.